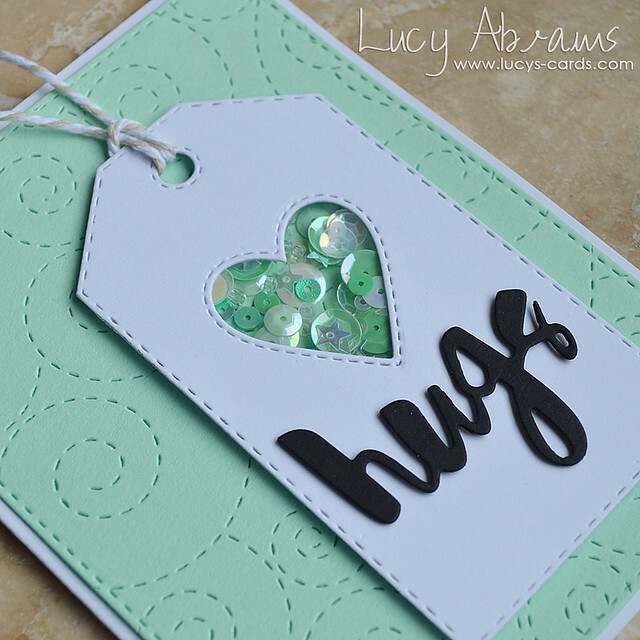 To start with I created a little shaker tag with the new Stitched Dress Up Tags die, a Heart Duet die, and the Painted Hugs die. I added some of my Purely Peppermint Shaker Selection, then adhered the tag to a die cut Stitched Rectangle cut from Mint cardstock which I had also cut with the Stitched Whirl Background die. Love all the coordinating stitched detail dies.... they are fabulous! Right - that's all for today. Busy busy busy here, as I am sure you all are. Have a fab weekend, I'll be back soon. Very nice indeed!! Love the refreshing colour too!! I love shaker cards and these are adorable.